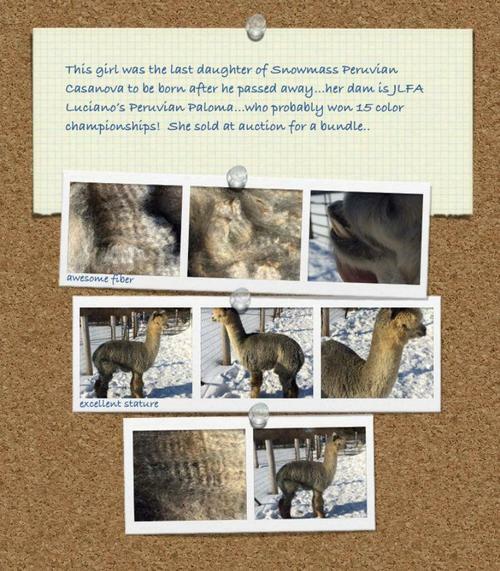 JLFA CASANOVA'S PERUVIAN PIA is the last Snowmass Peruvian Casanova daughter to be born. Pia is a perfect specimen of what we are breeding for in grey. 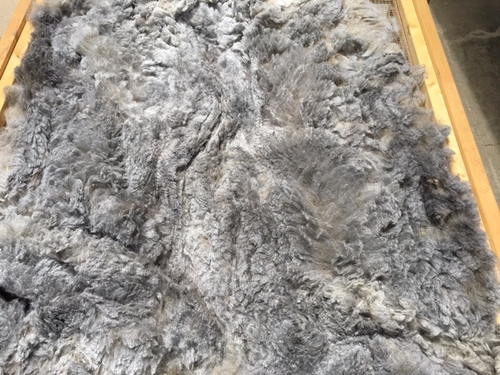 An amazingly fine, spot-free blanket that is consistent in micron and crimp across the entire blanket. 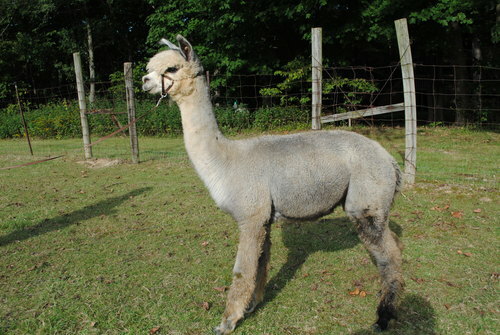 PIA's sire is the Snowmass Peruvian Casanova, who is arguably the sire of the most grey champion offspring above any other herdsire! He was awarded the prestigious AOBA Color Champion and the Futurity Herdsire of the Year awards! At 3 ½ year old he maintained an AFD of 18.3 and his histogram showed he was still under 25 at over 9 years old! A Casanova son was also awarded the Futurity Herdsire of the Year award and sold for over $300,000 in early 2006! This was the first time ever a sire and his progeny were both awarded the Futurity Herdsire of the Year! PIA's dam, JLFA Luciano's Peruvian Paloma, is a legend in her own right also. Paloma has produced some incredible offspring including a 15X Banner winner in Rose Grey! Includes a breeding to MFI Peruvian Candyman.